This elegant white chiffon dress features a fitted waist accented with a white satin bow centered with a white flower. 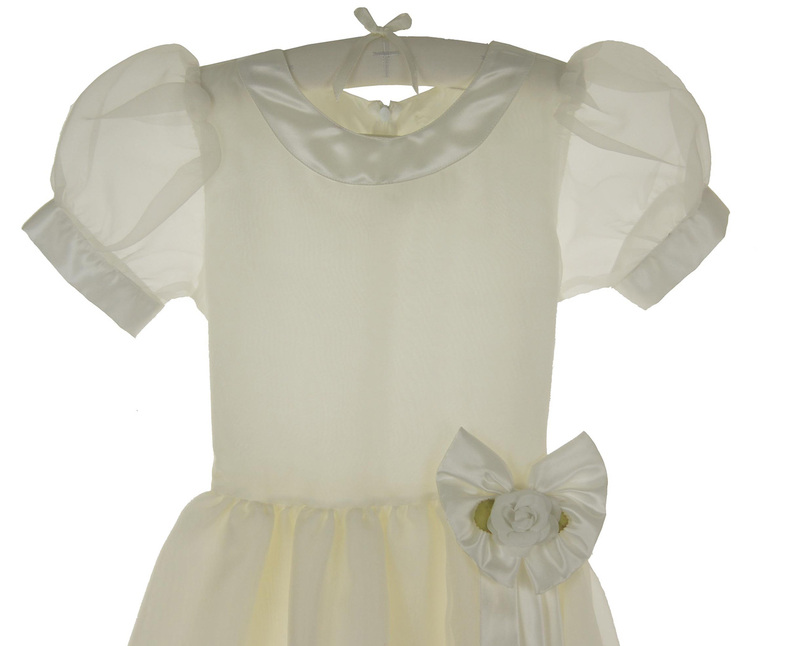 The dress has a scooped neckline and sheer puffed sleeves trimmed with white satin. 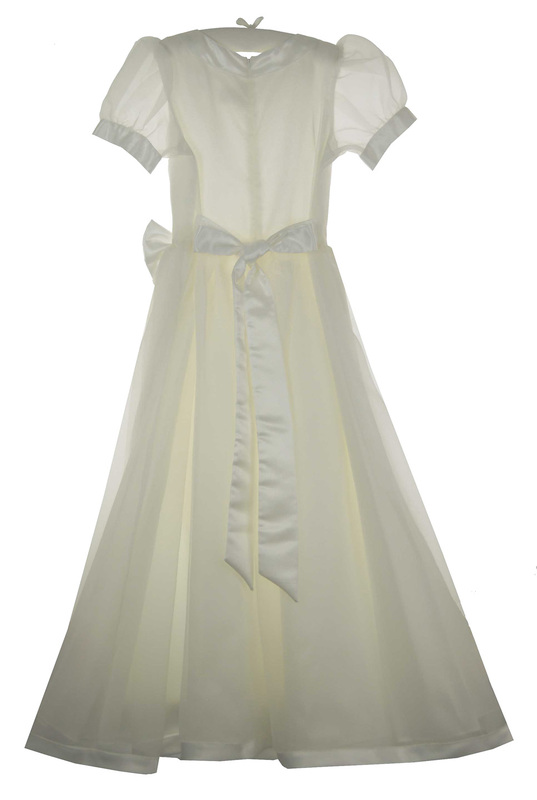 The dress has a a zipper back closure and a white satin sash to tie in a back bow The full swirling A-line skirt has graceful bands of white satin down the side and white satin trim at the hem. 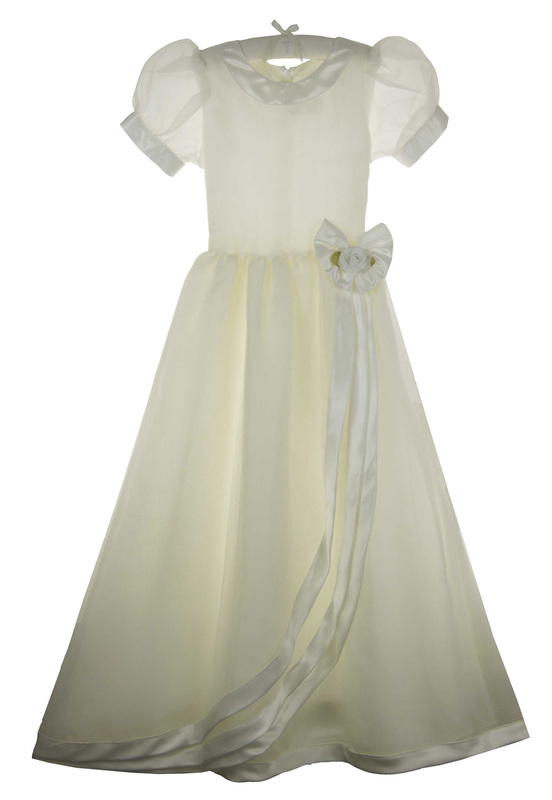 Completely lined in ivory satin, no slip is required with this beautiful dress.